If you decide to take your case to trial, an attorney will not be provided for you by the court. You may, of course, choose to hire an attorney or represent yourself. If you choose to represent yourself, please read the following information carefully. 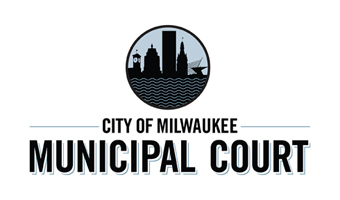 This is a formal hearing where an Assistant City Attorney and the Defendant have the opportunity to present their evidence before the Municipal Judge. The City has the burden of proving its case by clear, satisfactory and convincing evidence. The City puts its case in first. This usually involves calling witnesses and introducing documentary evidence. Once a witness for the City has testified, the Defendant has a right to cross-examine that witness. After the City has introduced all of the evidence that it wishes to present, the Defendant then has the opportunity to testify in his or her own behalf, call witnesses and introduce documentary evidence. The Assistant City Attorney is entitled to cross-examine any witness called by the Defendant. After all the evidence has been heard by the Judge, each side is given an opportunity to make a closing argument. The Judge then applies the admissible evidence to the specific state statute or city ordinance that the Defendant is charged with violating, and determines whether he or she is guilty or not guilty. Are there witnesses you want to testify? If the answer is yes, you need to make sure that they will be there on the day of the trial. Any such witness should have personal knowledge of the incident based on what he or she saw or heard. Do not bring in letters or statements written at your request. They may be hearsay and more than likely will not be admitted as evidence. If you have any doubts that witnesses you would like to call will appear voluntarily, you have the right to subpoena them into court. If you decide to subpoena a witness, you should pick up subpoena forms at the Municipal Court receptionist's counter at least two weeks before your trial date to allow enough time for proper service. Photos, Maps and Drawings. If you think such evidence will help the Judge understand your case, bring them to court. However, you or whoever took the photos or drew the drawings should be prepared to testify about how and when the items came into being. Testimony by the Defendant. If you plan to testify in your own behalf, think about what you are going to say beforehand. If you do testify, the Assistant City Attorney will have the right to cross-examine you. If you made a statement to the police or others, those statements can be used against you at trial. Police Reports and Witness Statements. If you want to have copies of any statements you made, other witness statements, or the police reports to help you prepare for trial, you should file a Motion for Discovery in person with the court no later than 30 days after your initial appearance. Forms for this Motion are available at the court. Will I have to pay more than the amount on the citation if I am found guilty? It is a possibility. First, the City Attorney may request payment for such things as witness fees ($7.00 per lay witness). The fine amount on your citation is not the maximum fine in most cases. The Judge has the authority to impose a higher fine if he or she deems it appropriate. The fine can also be lower. Finally, if you do subpoena witnesses, you will not be reimbursed for these expenses even if you are found not guilty. What if I need a postponement? If you have good cause to delay your trial date, you may ask the Judge for an adjournment. You must do so at least ten (10) business days before the trial date. The Judge will then decide whether or not to grant your request. If I am found guilty, can I appeal? If you are found guilty after a trial, the judge will notify you of your appeal rights. The appeal must be filed within twenty (20) days after the Judge's decision and will be heard in the Milwaukee County Circuit Court either before a jury or a judge. You must file a written notice of appeal (the court has forms) and pay an appeal fee. If I change my mind, can I change my plea before the trial? You may change your plea to guilty or no contest by contacting the court at least ten (10) business days in advance of your trial date. You may do so by mail to Milwaukee Municipal Court, 951 North James Lovell Street, Milwaukee, WI 53233, by fax at (414) 286-3615, or in person.